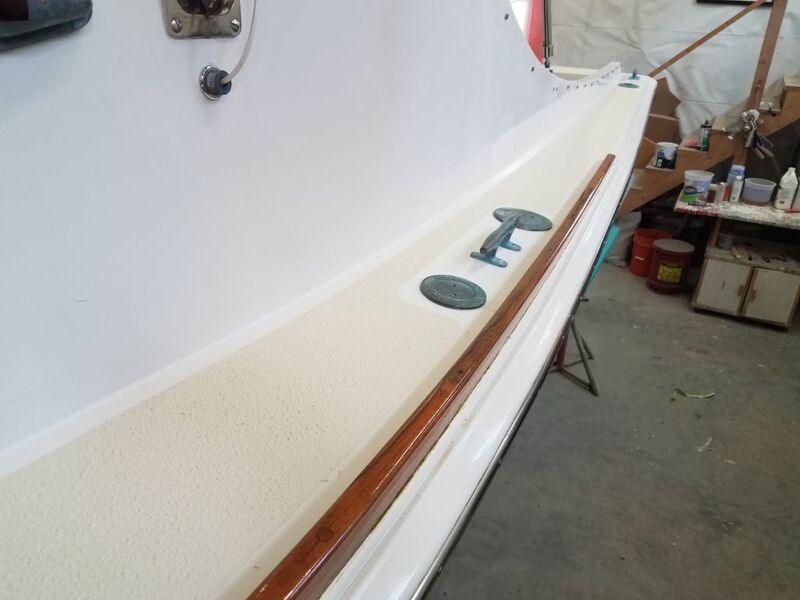 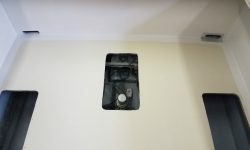 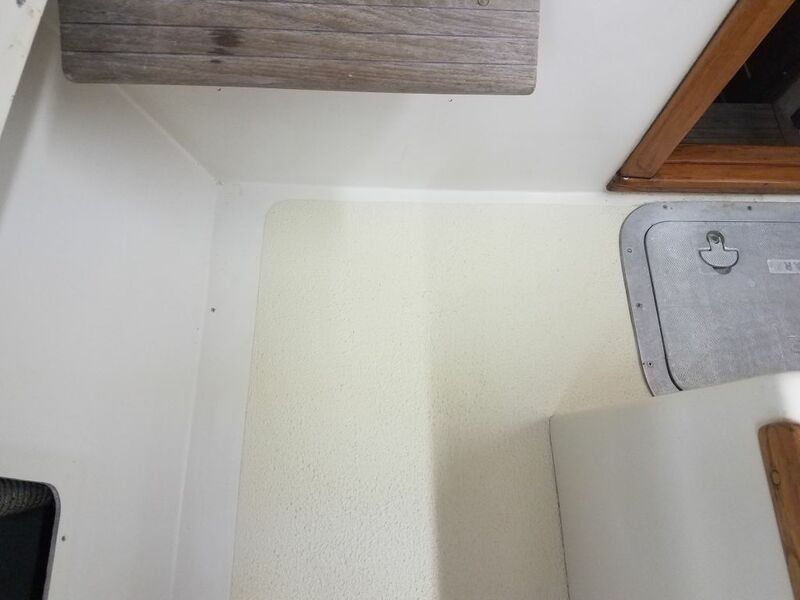 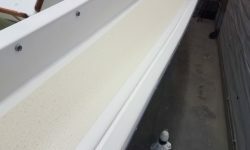 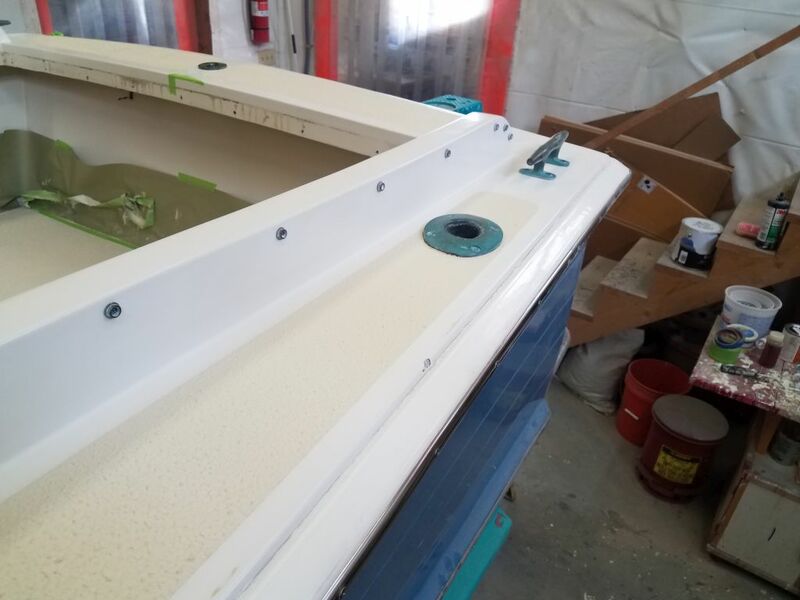 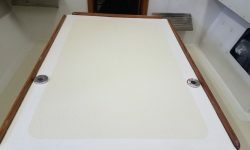 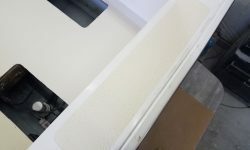 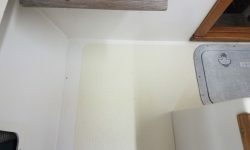 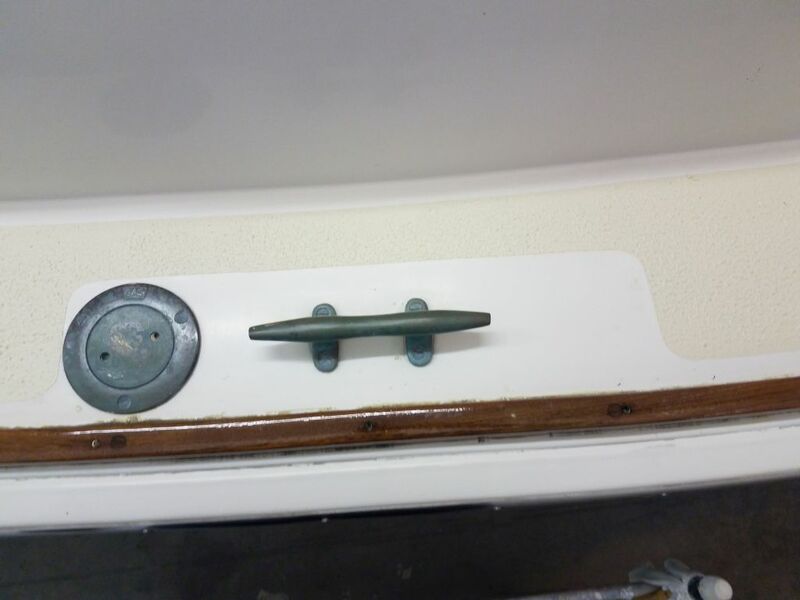 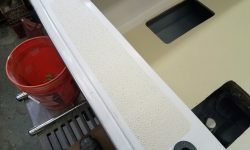 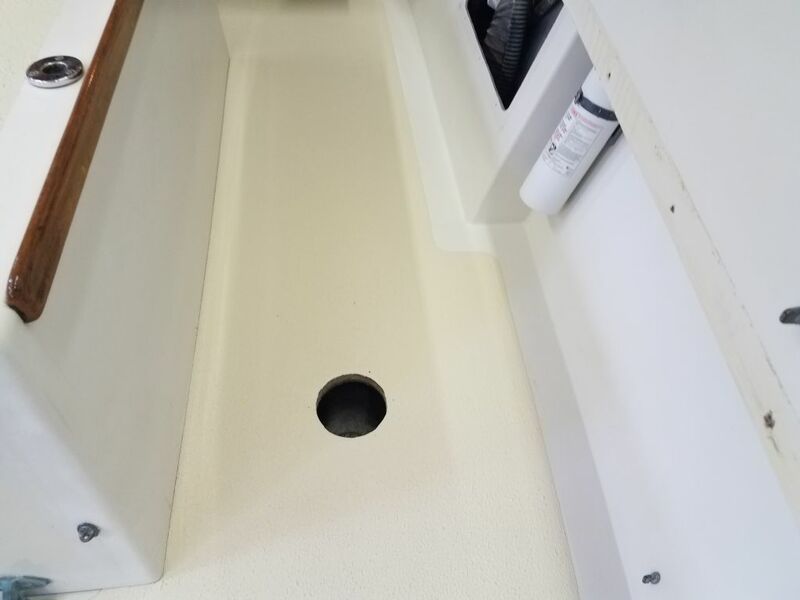 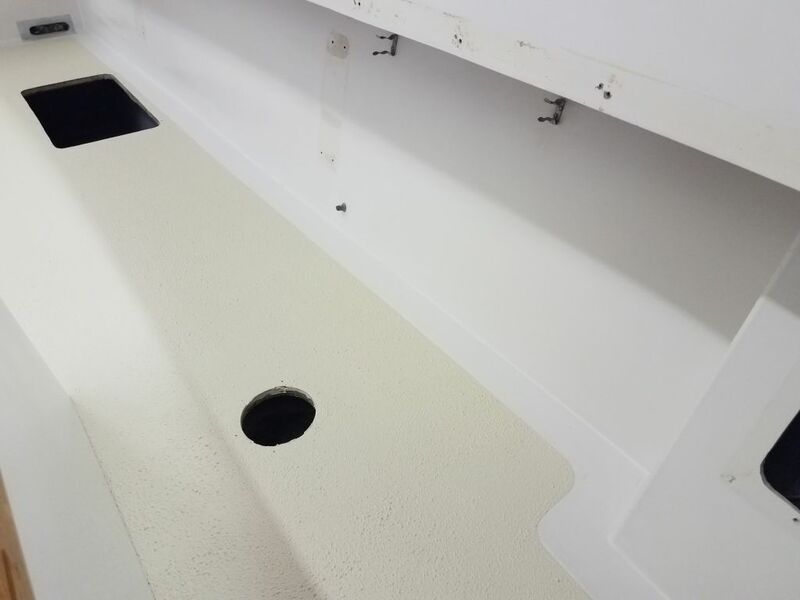 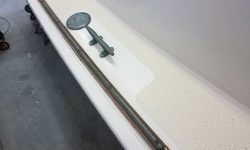 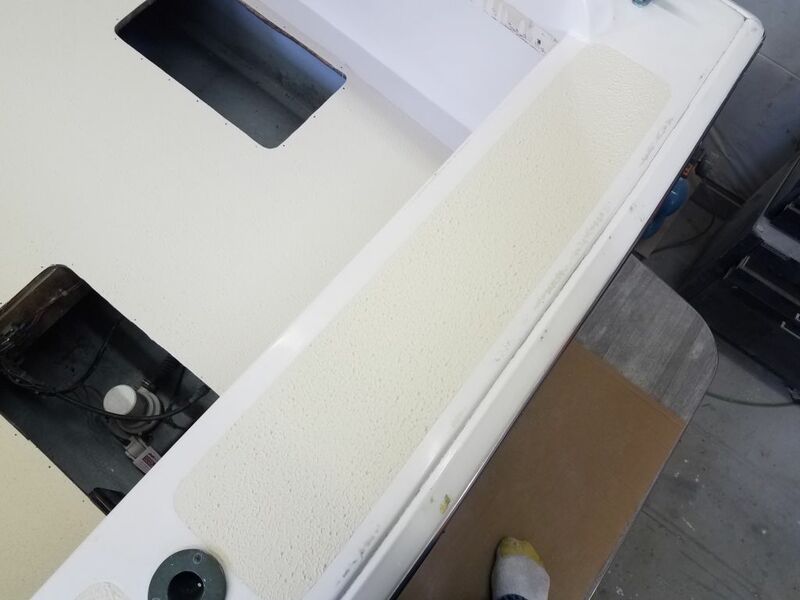 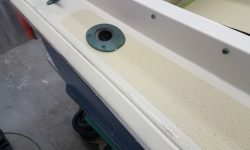 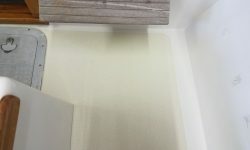 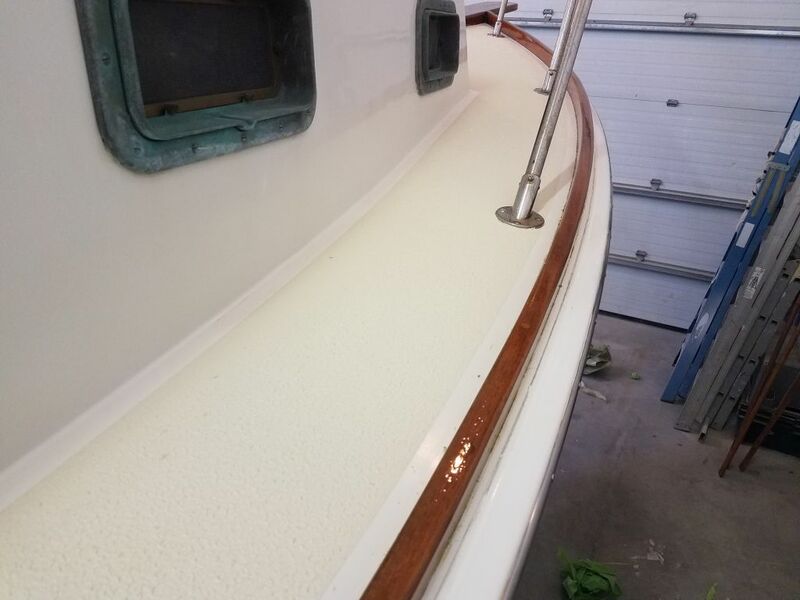 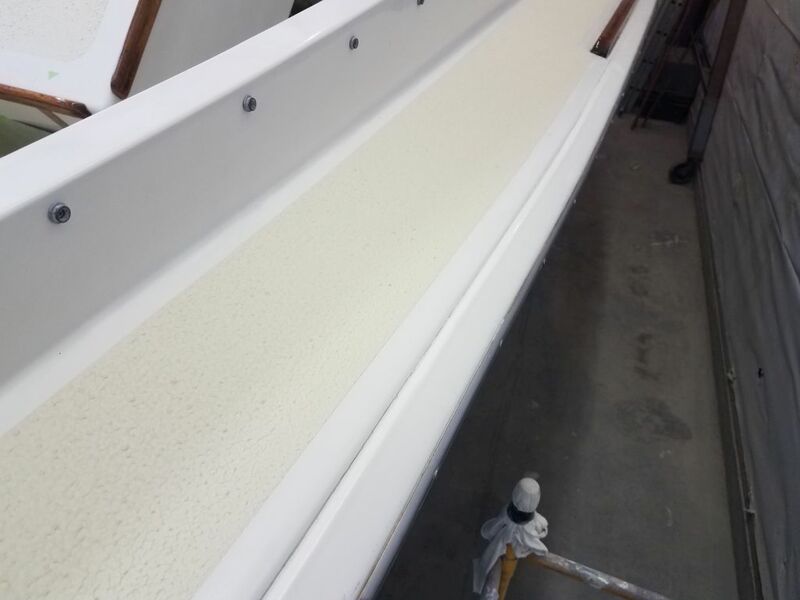 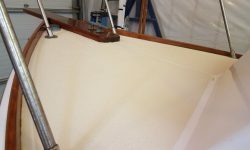 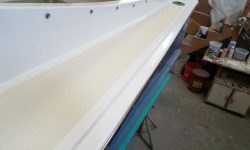 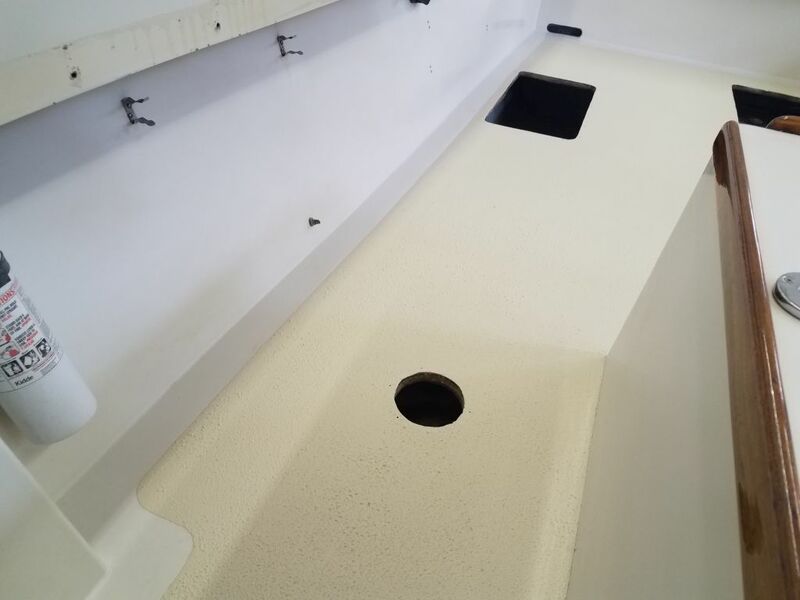 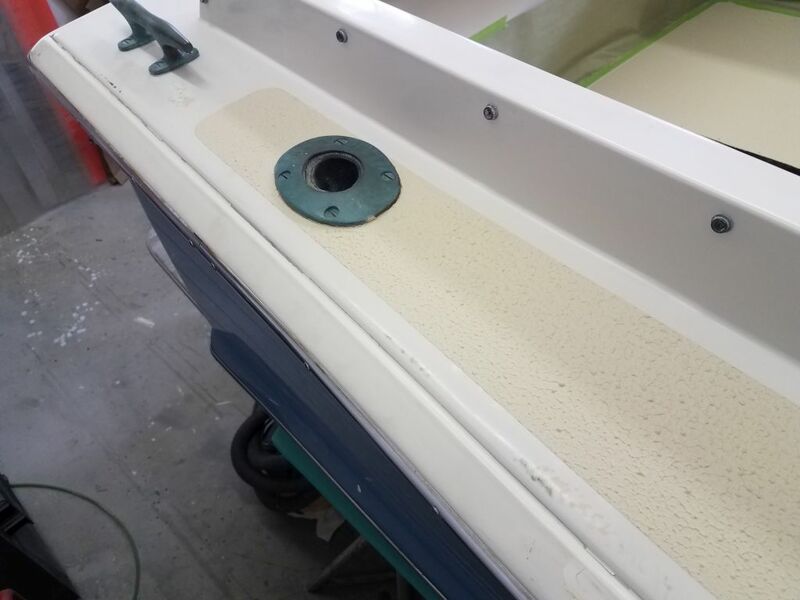 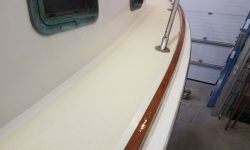 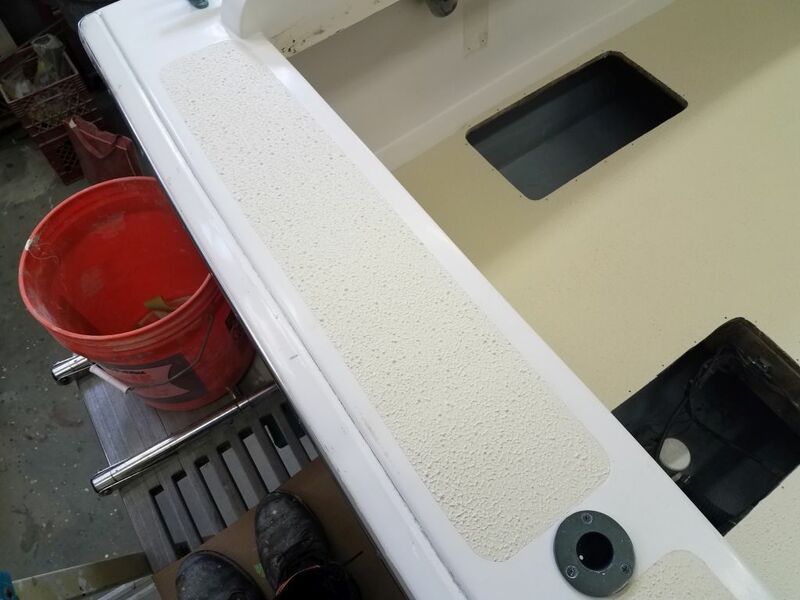 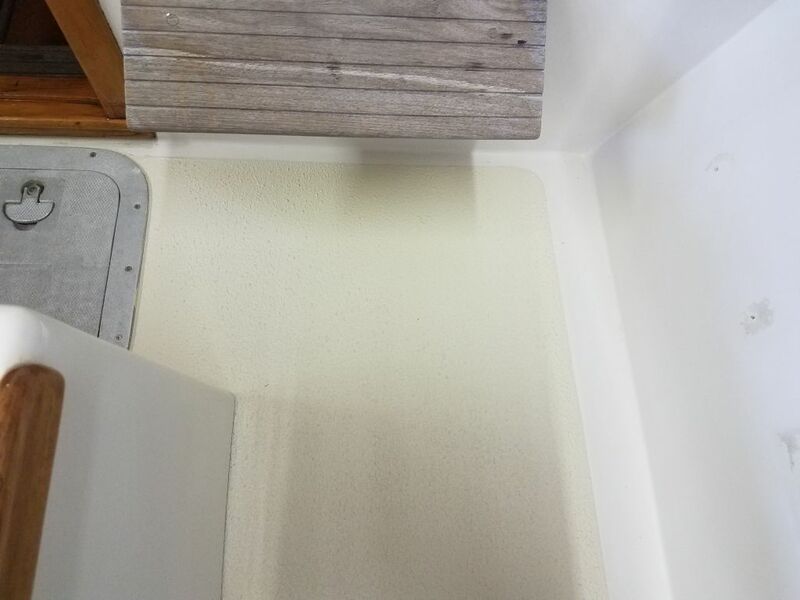 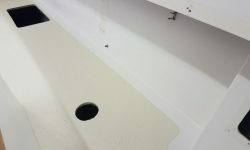 The new nonskid had cured overnight, and now I could remove the final bits of masking tape and paper from around the boat, exposing the final product. 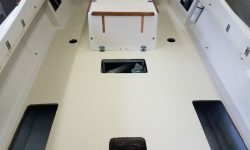 The paint was still pretty soft, so I didn’t want to overdo how much I walked on it, so while I wanted to continue the work to wrap up the project, I avoided the cockpit and focused on the areas I could reach from staging or the coachroof, and over the course of the morning I reassembled the various hardware I’d removed at the beginning of the project, including the enclosure snaps, windshield wipers, chafe protectors at the breast cleats, anchor roller, and bow chocks. 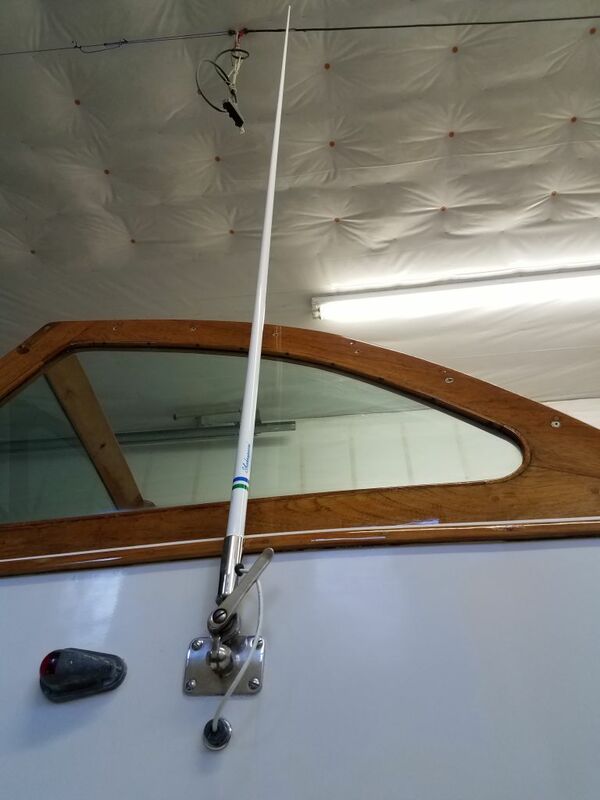 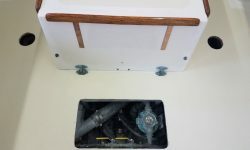 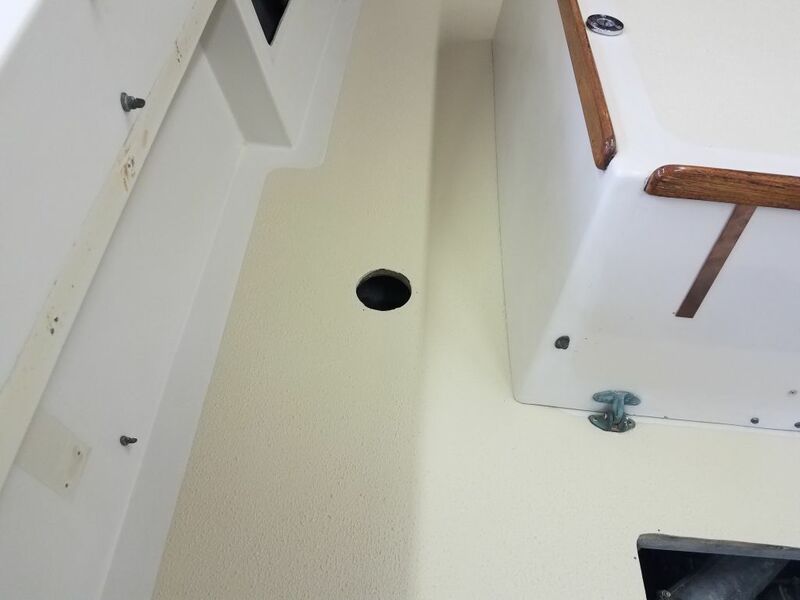 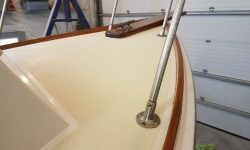 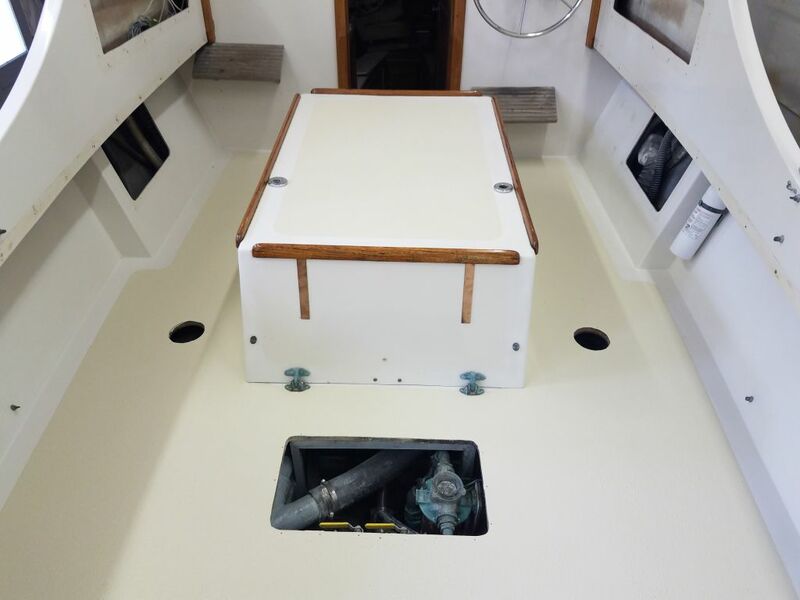 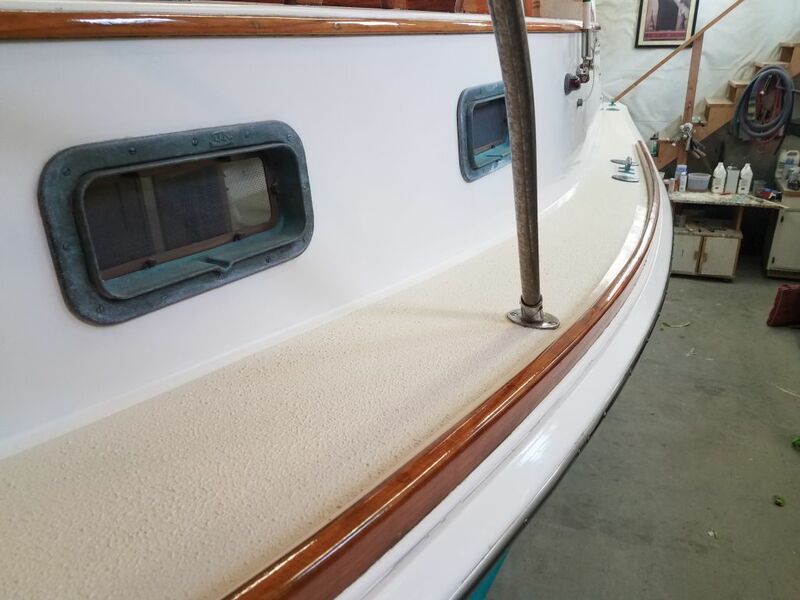 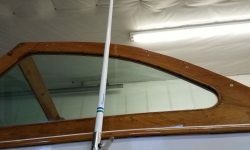 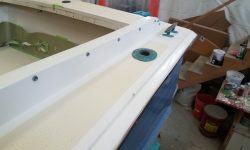 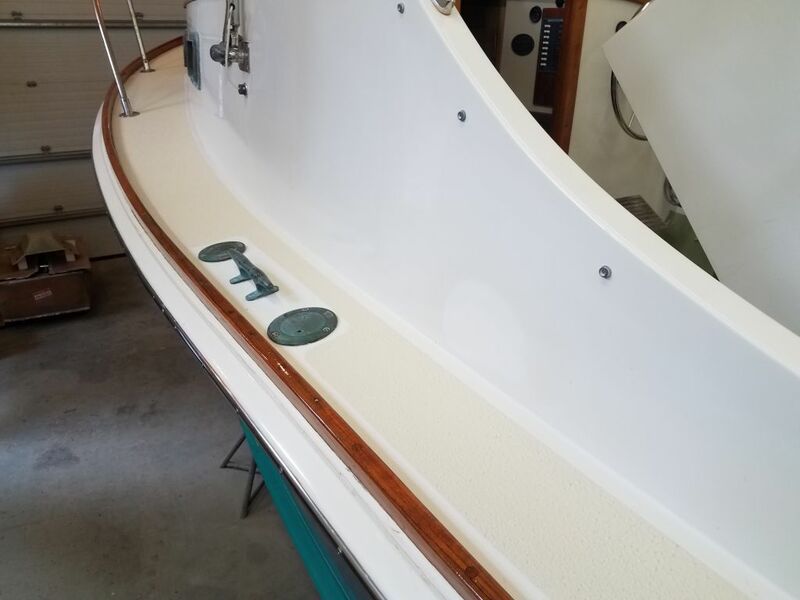 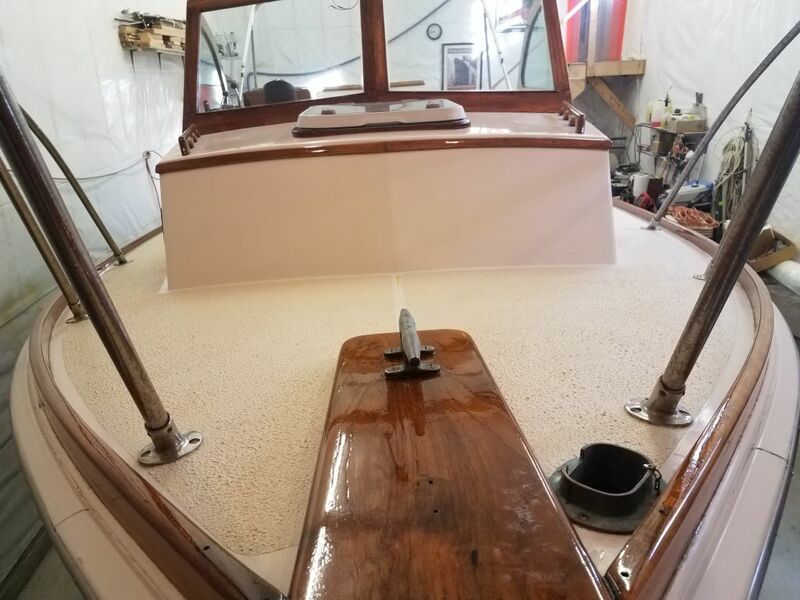 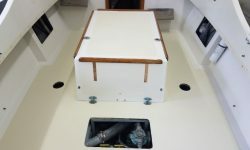 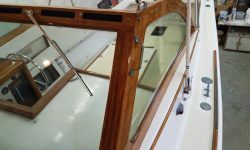 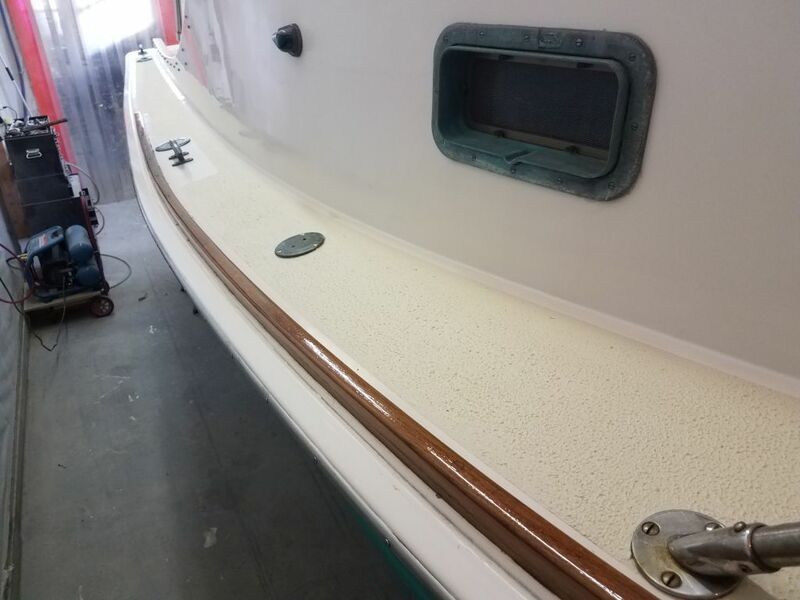 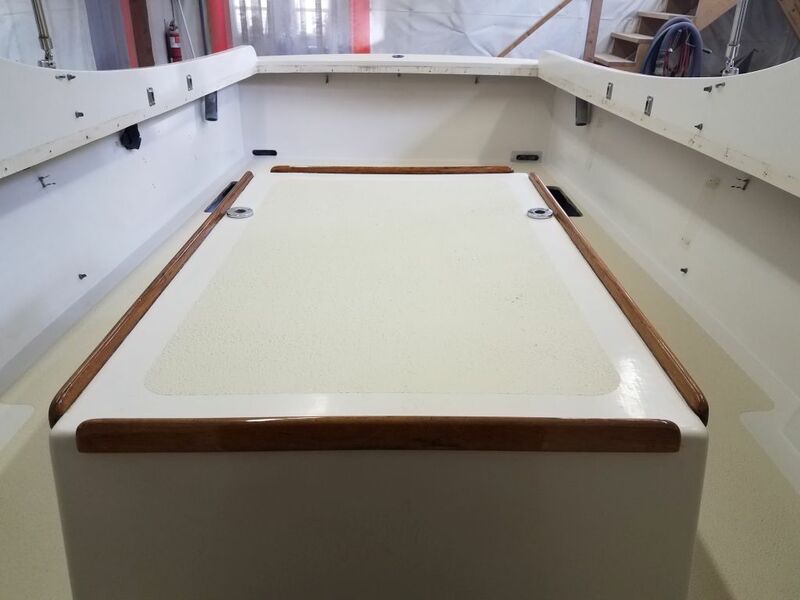 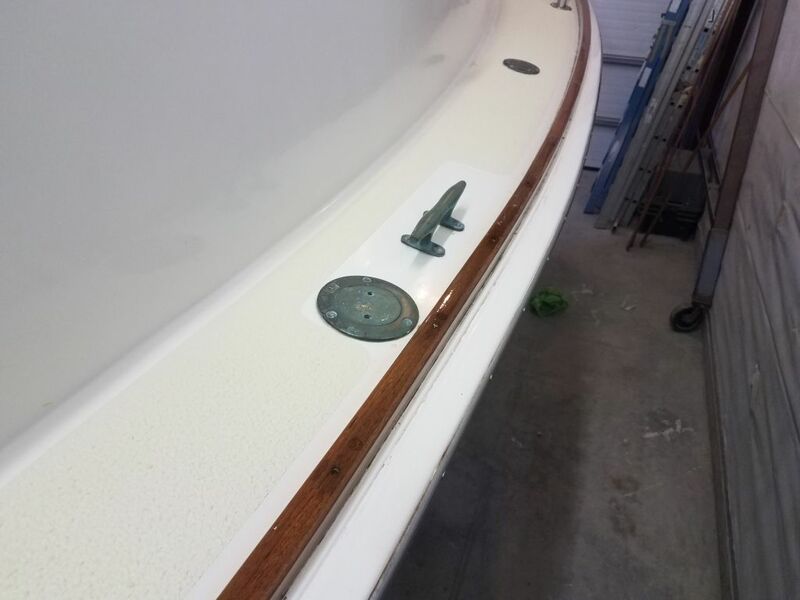 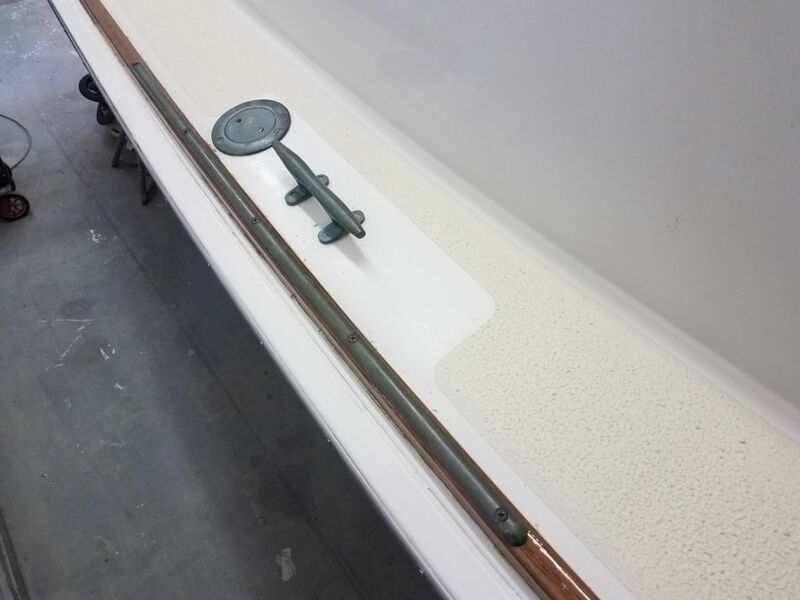 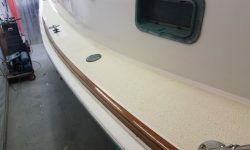 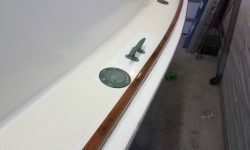 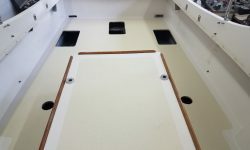 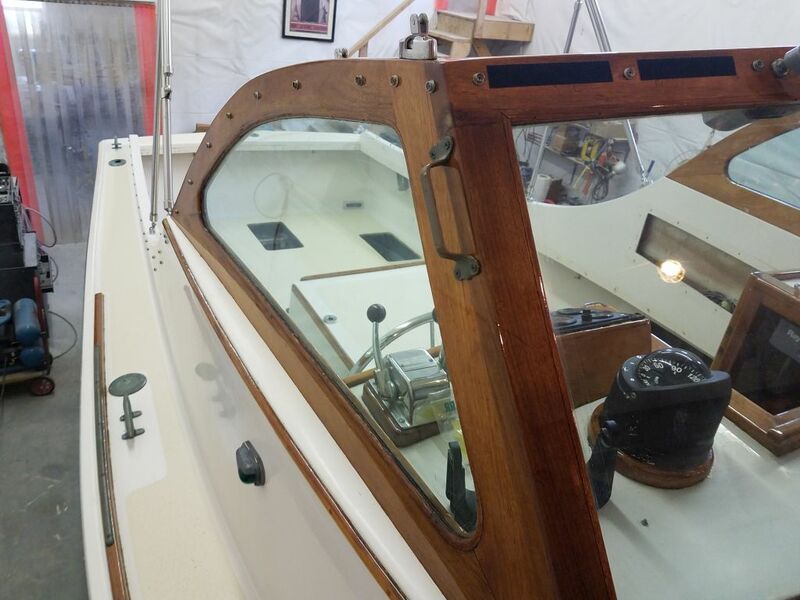 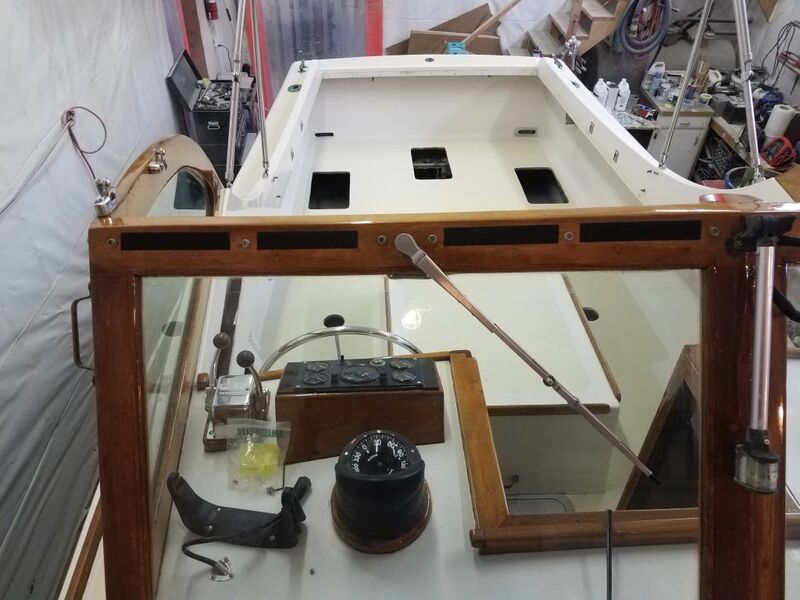 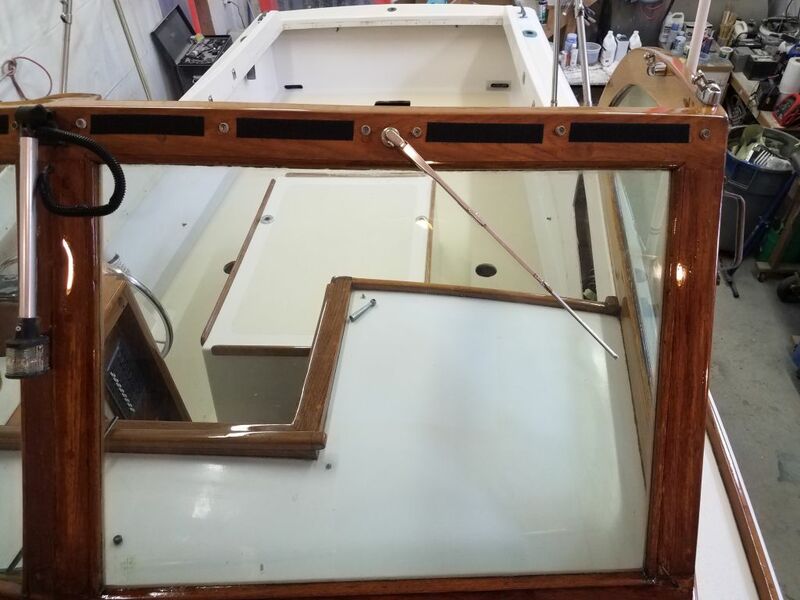 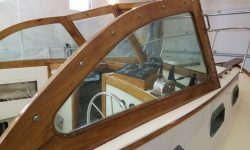 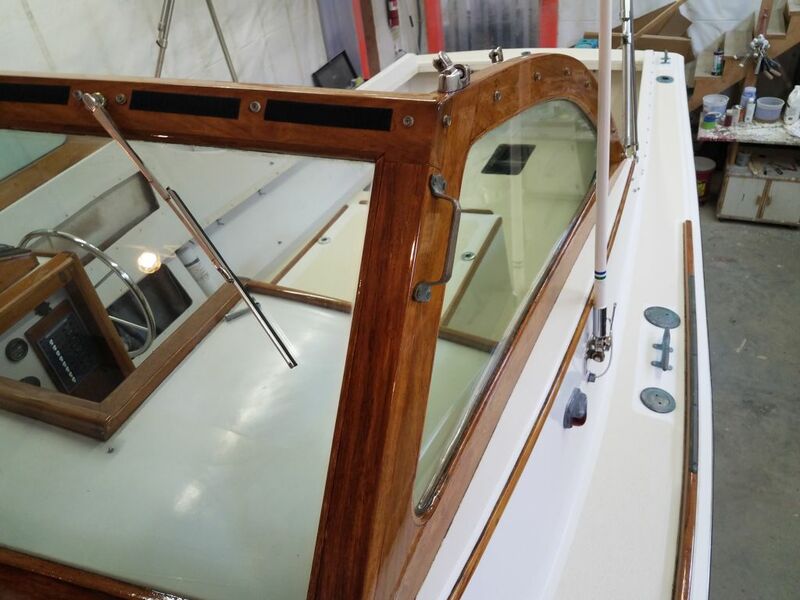 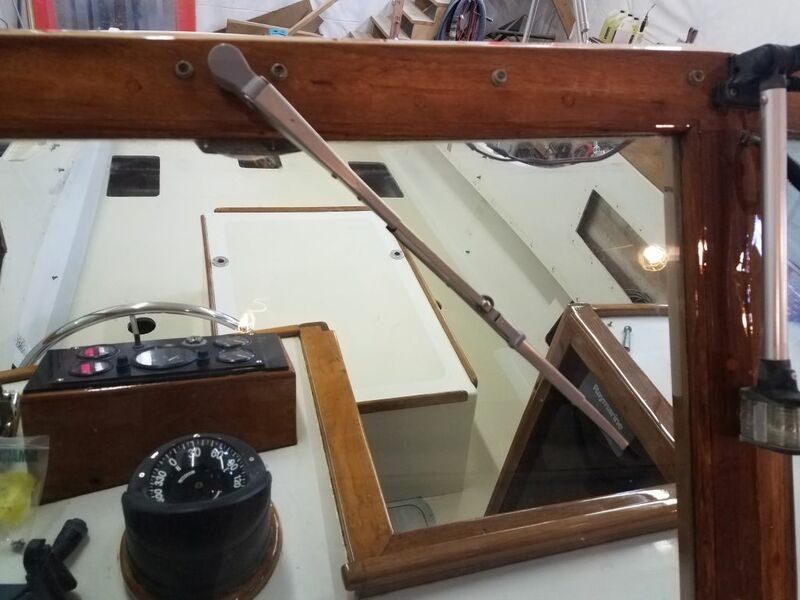 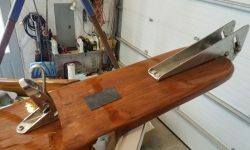 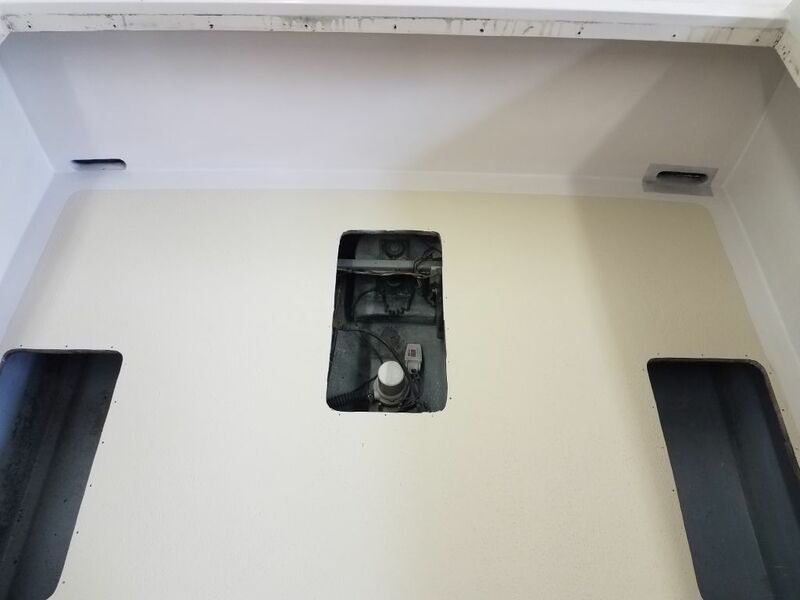 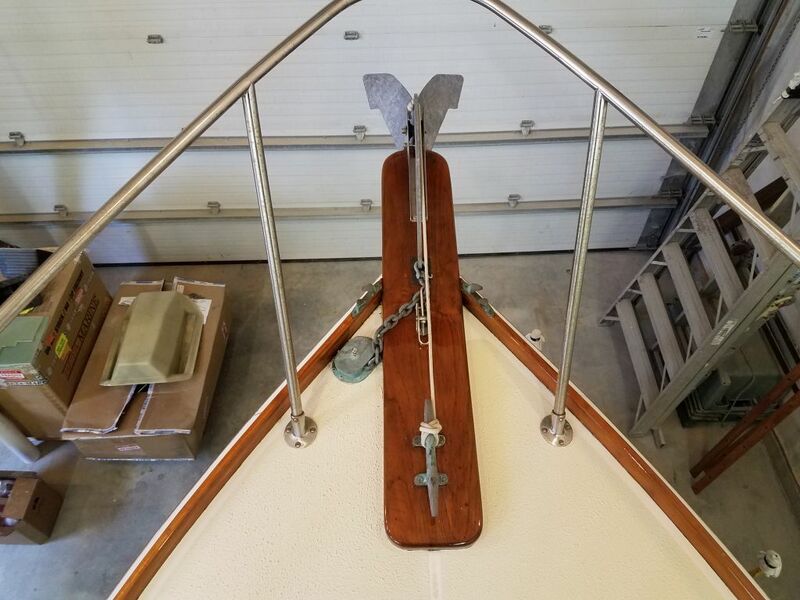 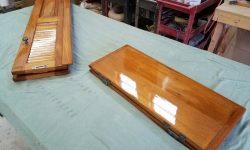 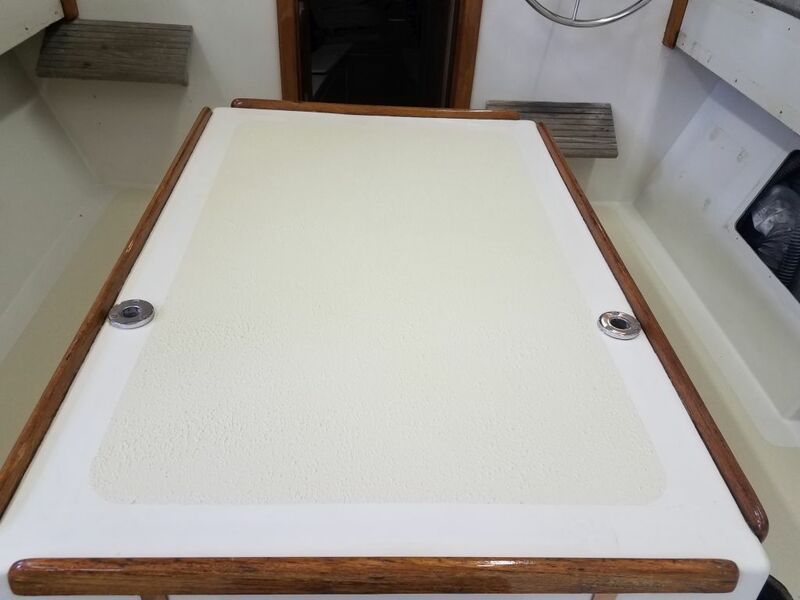 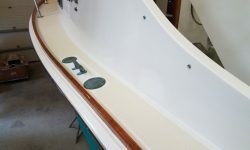 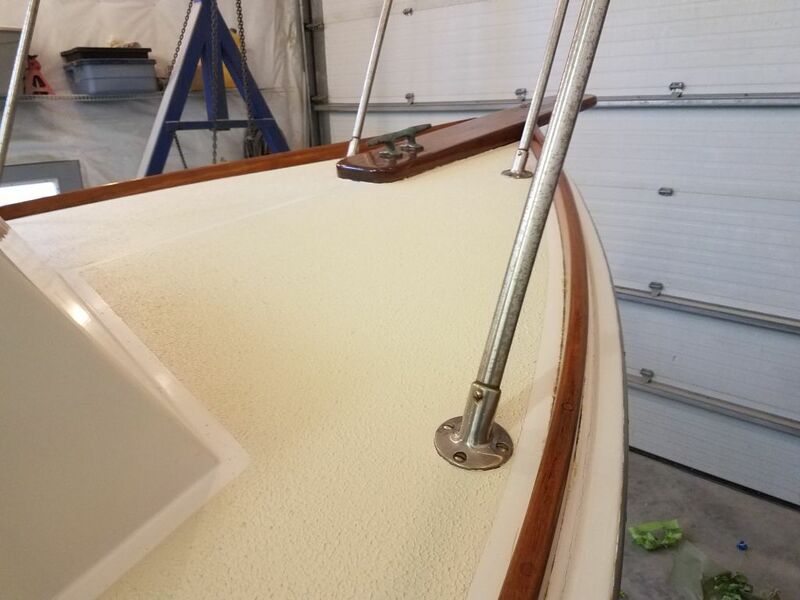 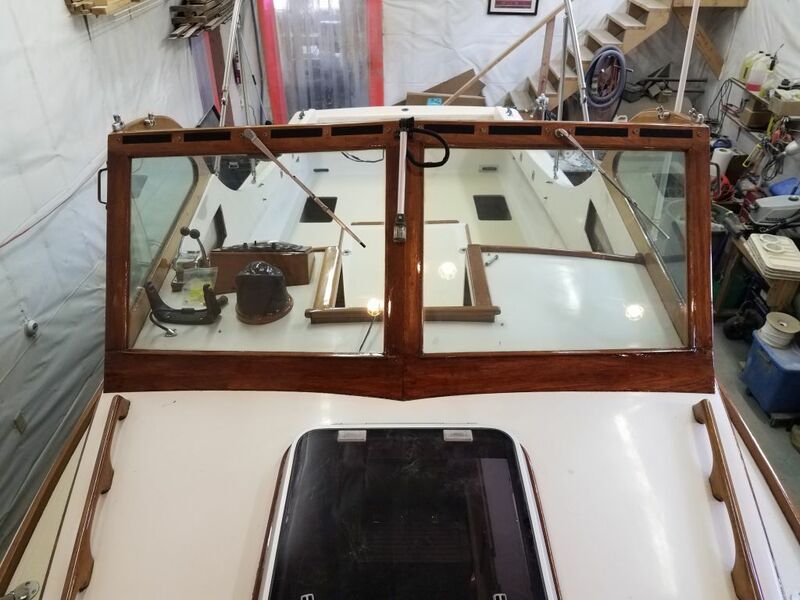 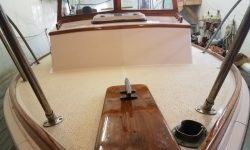 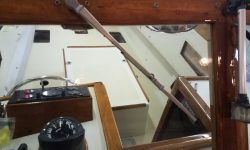 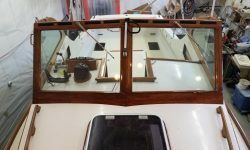 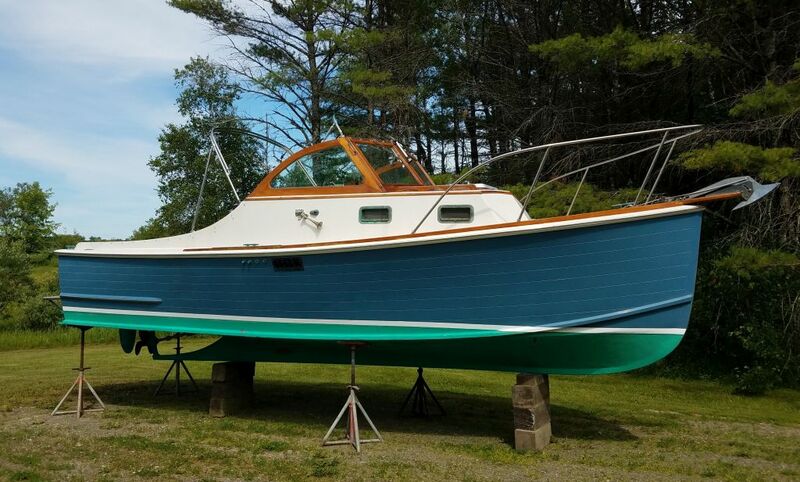 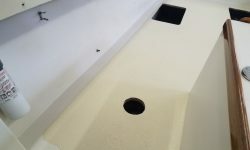 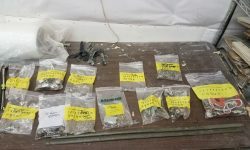 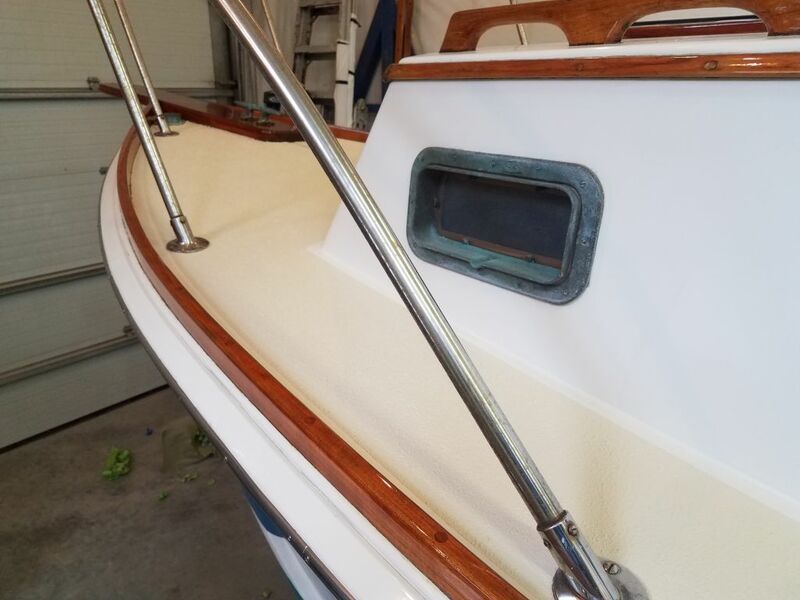 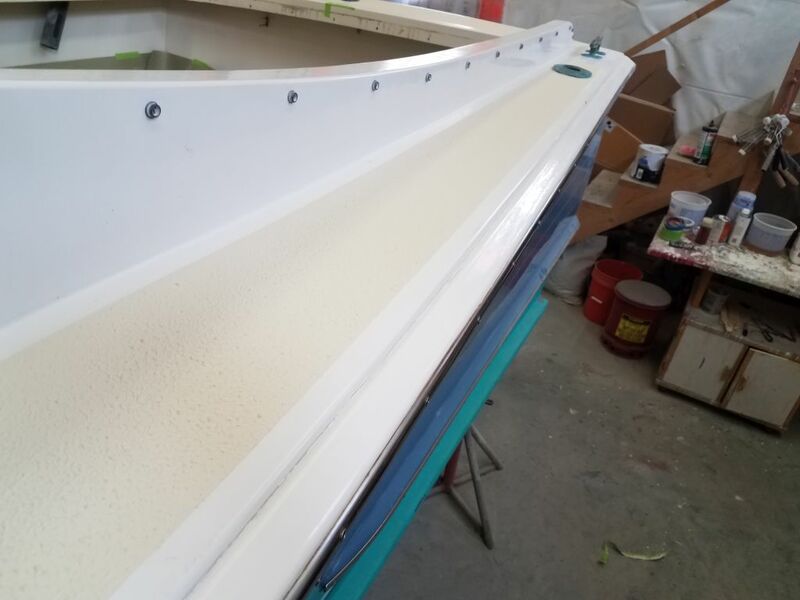 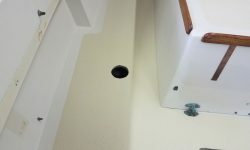 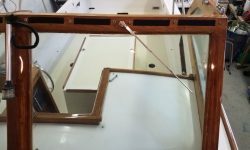 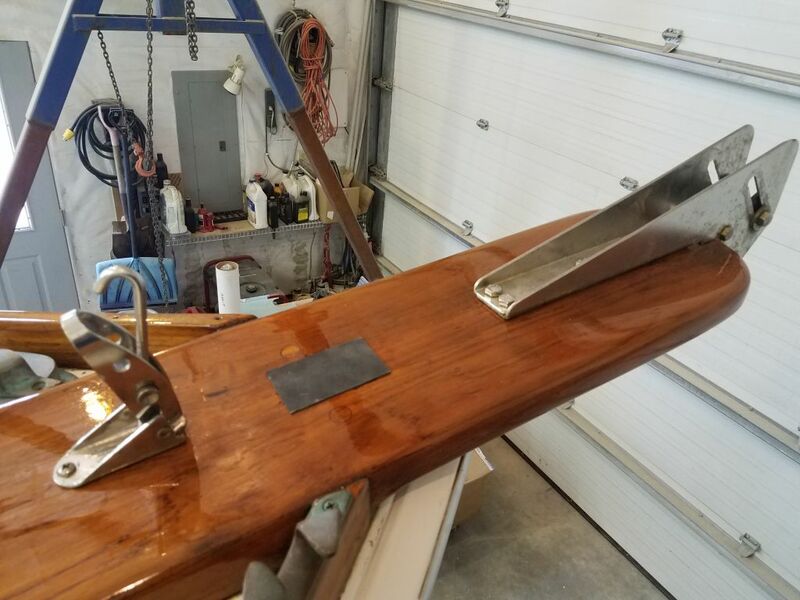 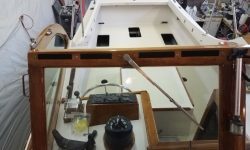 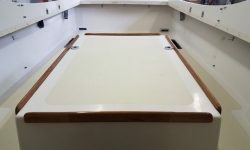 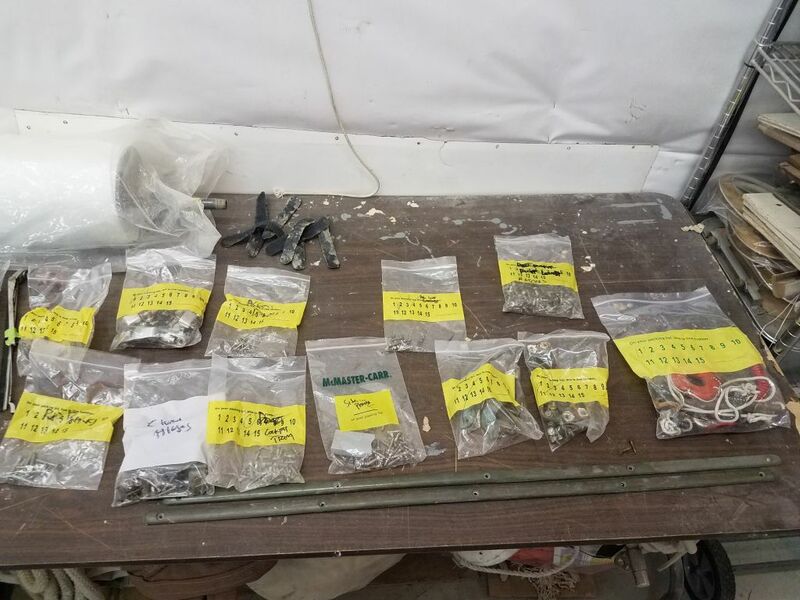 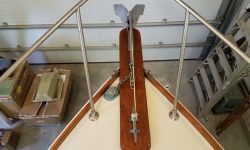 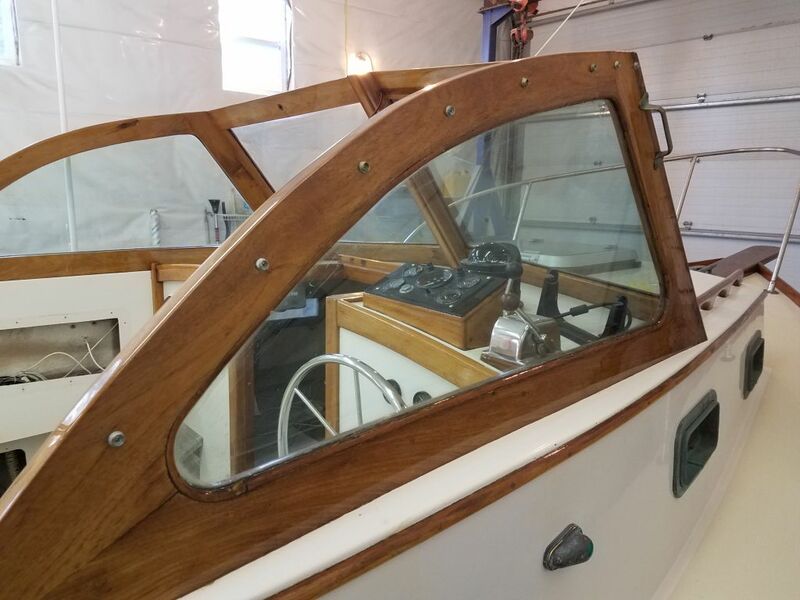 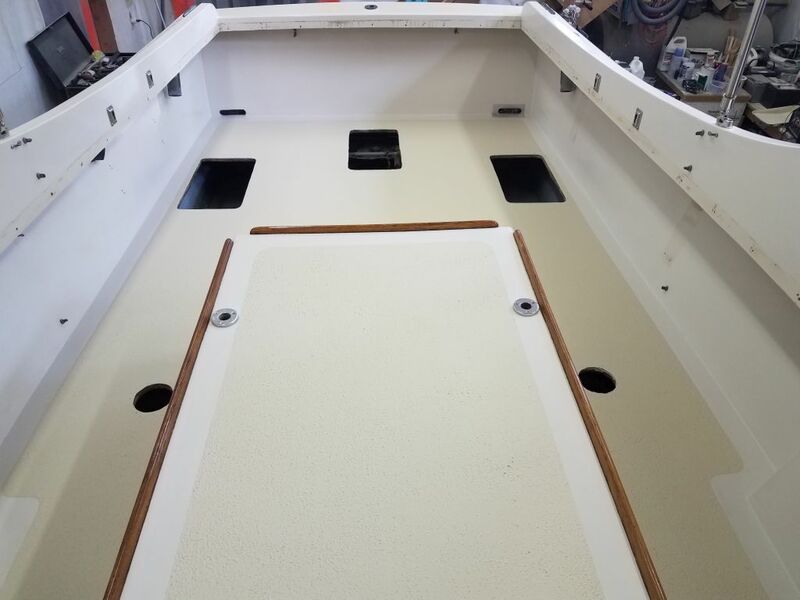 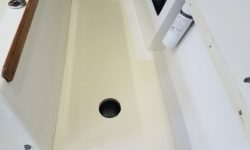 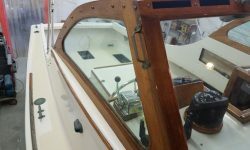 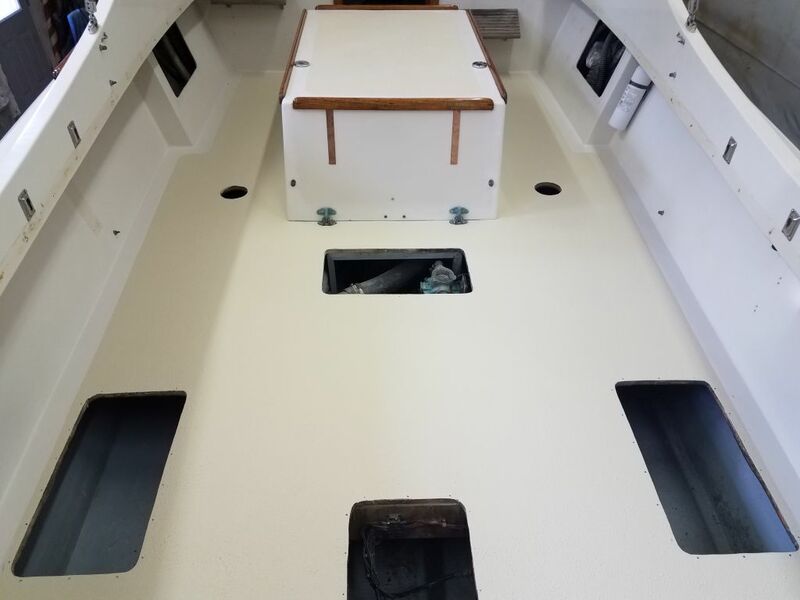 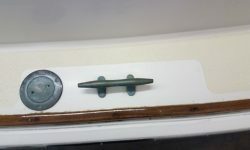 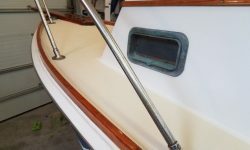 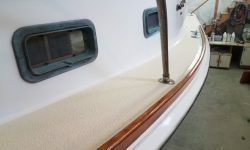 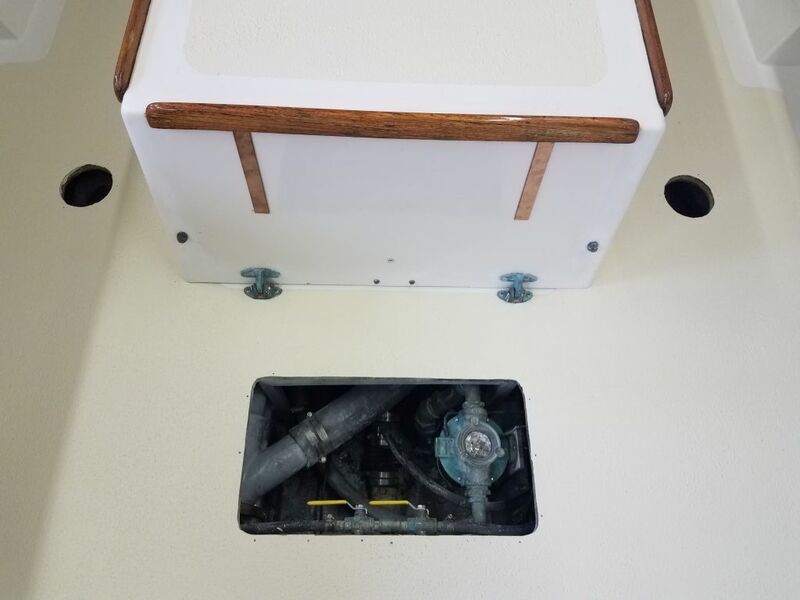 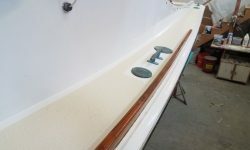 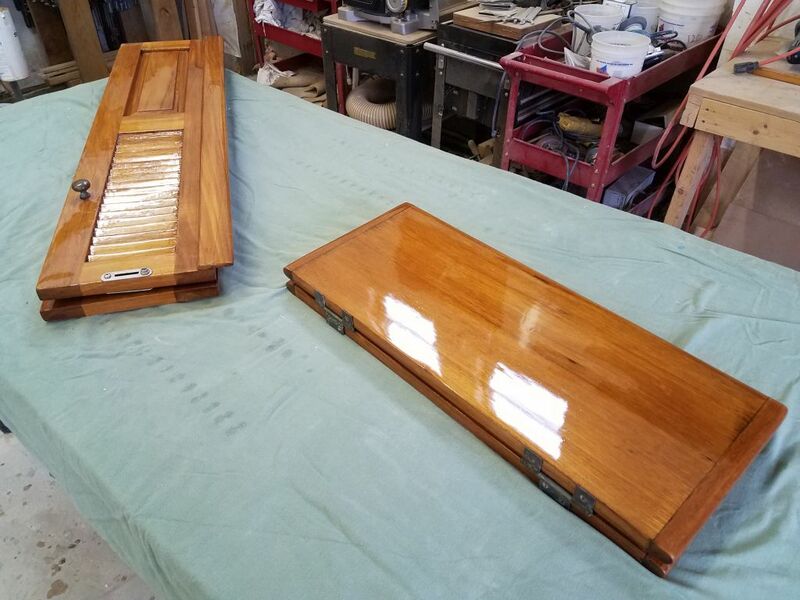 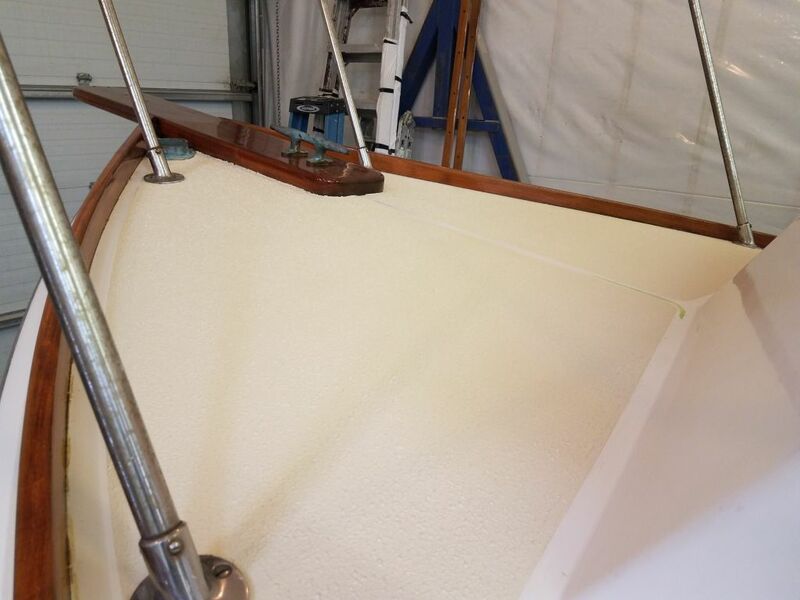 Later, I reassembled the hinges and hardware on the companionway top and bi-fold doors, but I waited on doing any additional work in the cockpit for now to avoid overtaxing the fresh deck paint.